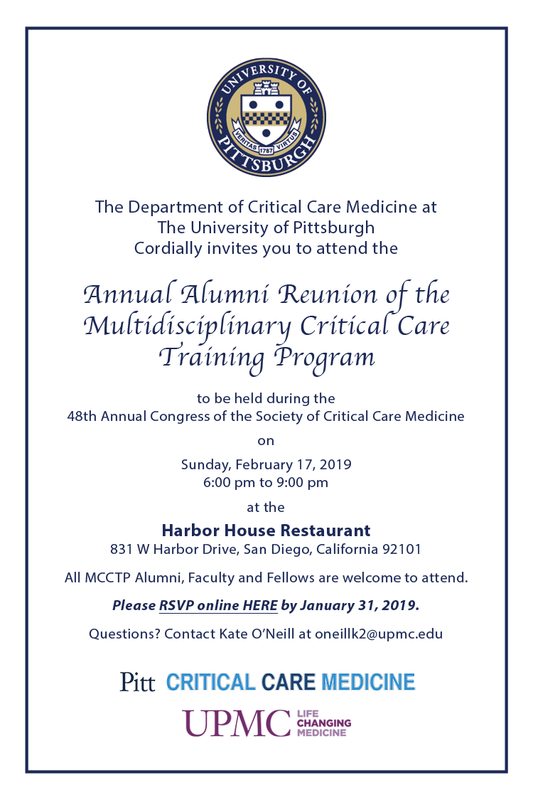 The Department of Critical Care Medicine (CCM) announced the venue for the 2019 Alumni Reunion to be held during the 48th Annual Congress of the Society of Critical Care Medicine. All current and former fellows are invited to join Lori Shutter, Vice Chair for Education, and other CCM faculty members at the Harbor House Restaurant on Sunday, February 17, 2019 beginning at 6 pm. RSVPs are appreciated by January 31, 2019.